Fig. 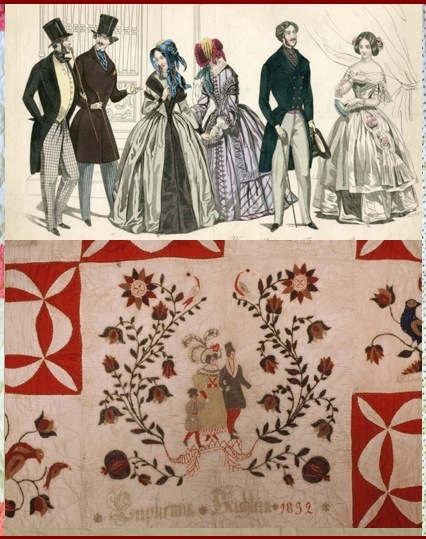 15 FRIENDSHIP, SIGNATURE, AND FRAKTUR QUILTS FINAL COLLAGE Courtesy of the Goschenhoppen Historians, 1994.02.01; Moravian Museum of Bethlehem M849.01; Metropolitan Museum of Art Fashion Plate 034. Published September 1, 2016 at 426 × 539 in Fraktur Quilts from the Schleifer-Kichlein Family.